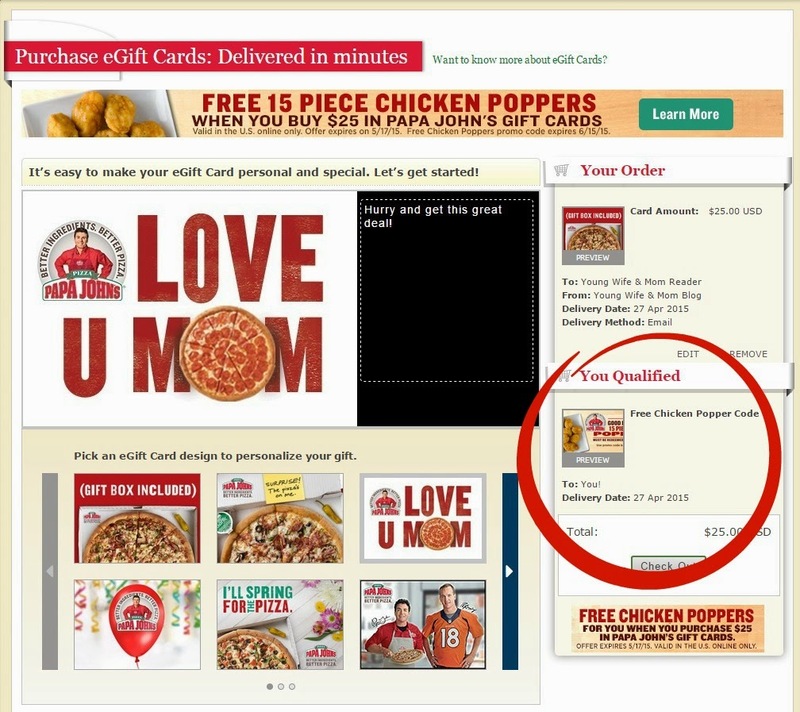 HOT Papa John's Deal: #FREE Chicken Poppers! Are you and your family fans of Papa John's?! Starting today, Papa John’s is offering a hot new promotion! 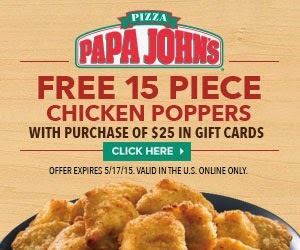 When you purchase a $25 gift card to Papa John’s, you’ll also receive a FREE 15-piece chicken poppers! The promotion is available April 27, 2015 through May 17, 2015. Your promotional card for the chicken poppers must be redeemed by June 15, 2015. Add a gift card with a value of at least $25. Guess who's having a pizza night very soon! How about you?! Disclosure: This is a sponsored post. All opinions reflected in this post are solely mine.